This platform is designed to attach to the main adjustment straps on the back side of the Primary Survival Gear Carrier (PSGC). Molle compatible pockets and pouches can be mounted onto the platform, allowing the operator more flexibility and carrying capacity. 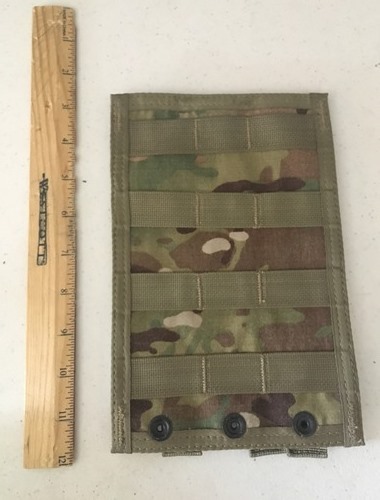 With the two Molle straps on the back this platform can be mounted to any Molle, Pals, compatible gear.